The name was, of course, originally written in the Cyrillic alphabet. The vowel in the name's root "klyon" is a single Cyrillic character that is equally well transliterated as 'ya' , 'yo', or 'yu', with a sound that is approximately a compromise between the sounds an English speaker would give to those three spellings, in each case assuming a short rather than a long vowel sound. So, it is no surprise that, in transition to Latin characters, the first part of the name became any of the following: Klia-, Klie-, Klio-, Kliu-, Klo-, Kle-, or Kla-. The choice probably depended on some combination of the voice and pronunciation of the speaker, his/her knowledge of how other relatives had spelled the name in Latin characters, the ear and native language of the transliterator, and how familiar the transliterator was with the Cyrillic alphabet. At the other end of the name, the endings -ski, -sky, -skii, -skiy, and for women -skaya or -skaja or -skovna were all valid choices. In addition, the initial letter might be changed to a 'C' without changing the sound, but should not have been common because 'K' is the same shape and sound in both Cyrillic and Latin characters. And, of course, the name is easily shortened by dropping the last syllable; there are known instances of that change both prior to and after emigration from Russia. 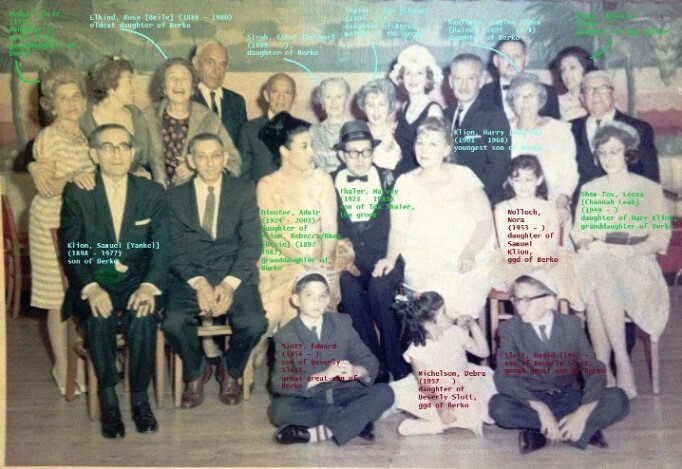 The point of this description is that there are no Klia- Klie- Klo-, Kle-, or Kla- versions of the Klionsky name in the various Revision Lists or other contemporary archives. 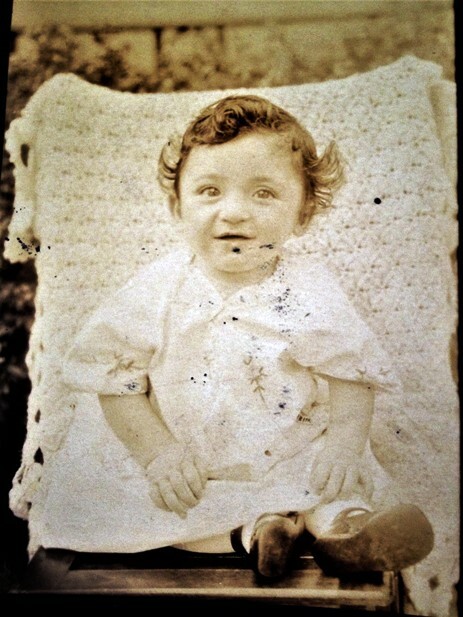 This means that anyone arriving at Ellis Island with a Minsk-area origin and any of the various spellings had all spelled the surname the same way in Cyrillic, with the differences more likely to reflect chance than an absence of relatedness. 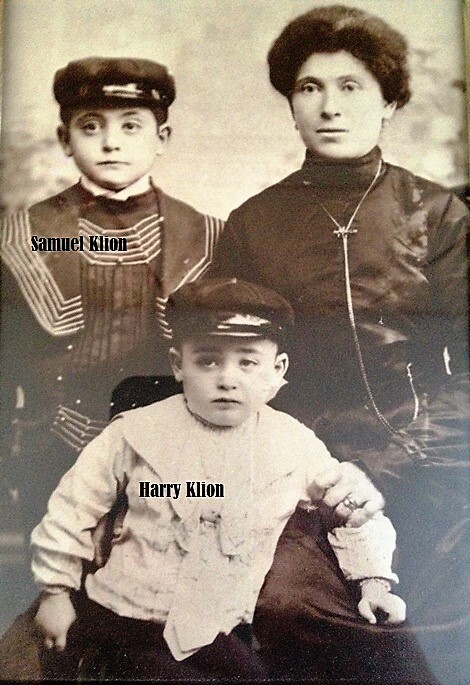 There are numerous instances of Ellis Island records showing, for example, a Klensky woman arriving to meet her Klionsky husband, or a Klon immigrant having a Klionsky grandfather and a Cleon son, or a Klonsky arrival reverting to Klionsky in later life and having a Klion son. Given that all those versions are derived from the same Cyrillic name, Ellis Island records can be used to gauge the prevalence of the name. 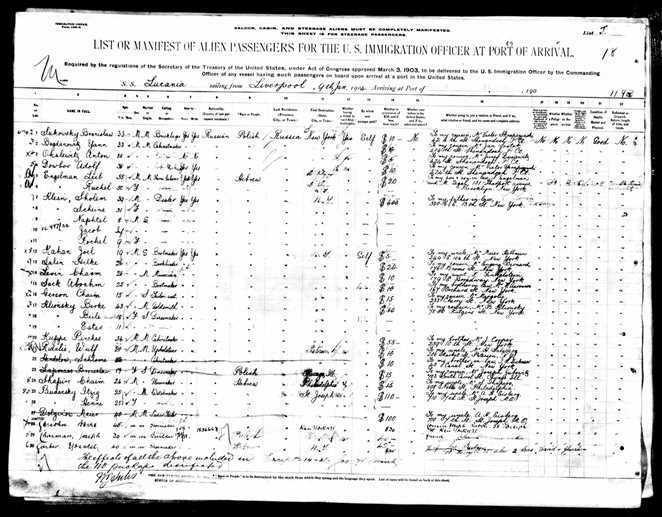 In addition, 2 Clionskys known to derive from a household on the 1874 list entered through Philadelphia. 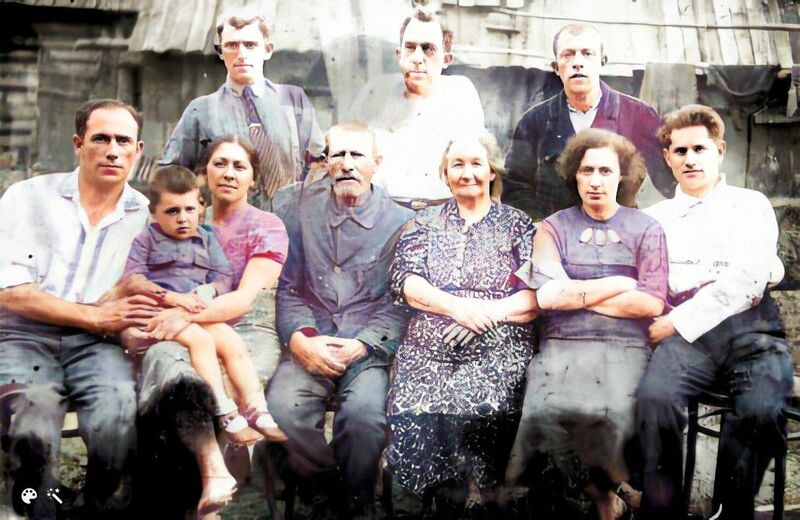 Almost without exception (one Klanski was from Hungary and the 2 Klons came from Odessa but had known Minsk-area connections), all of these immigrants were coming from Minsk and other nearby towns, a total of 90 individuals. 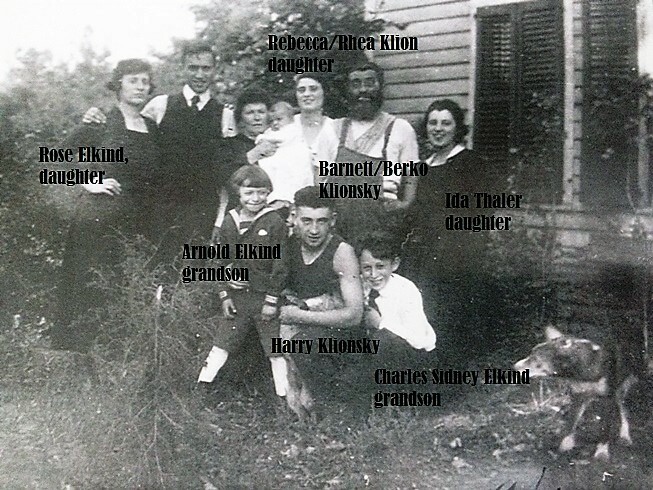 There are also current-era Klionsky families who came to the USA in approximately the same time frame, but who cannot be identified in Ellis Island records. They may have come through other ports, traveled under other names, or entered before or after the time frame of the web-enabled Ellis Island database.